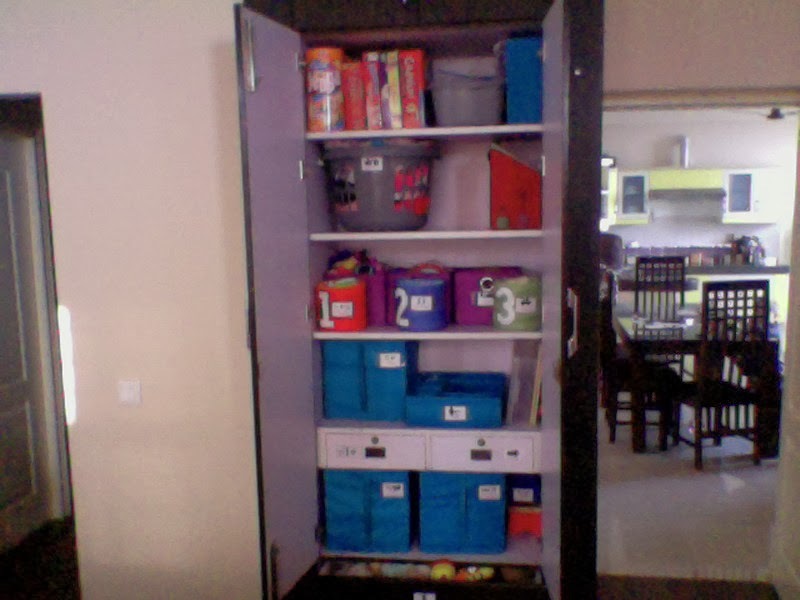 I have updated our toy bin labels and moved all of the kids' toys in to my room, creating a toy closet. The kids are allowed one bin of toys to play with at a time. When they are finished with the toys from that bin, they are responsible for picking up those toys and bringing the bin back to the toy closet. 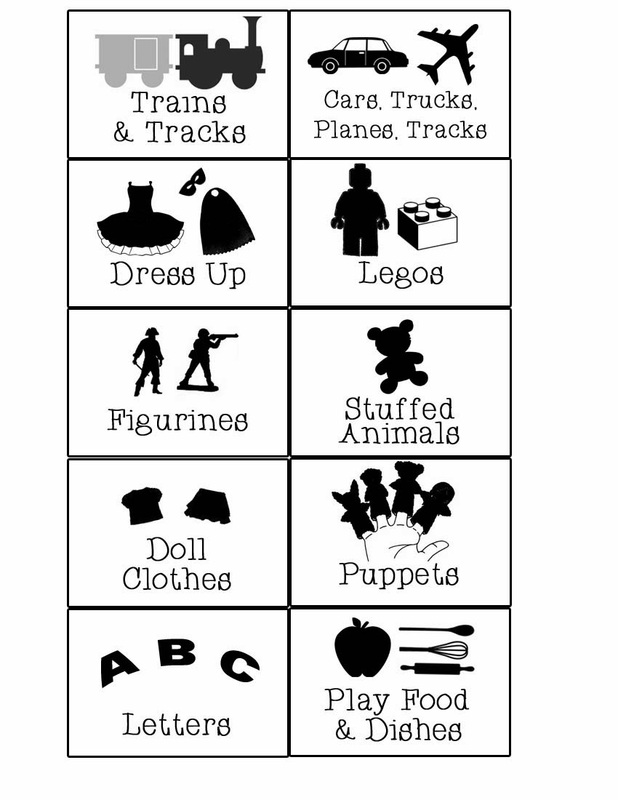 There are times when they want a stuffed animal and the doll clothes, so I also allow them to take one or two toys from a different bin than the one they chose. They do keep two dolls and one stuffed animal each on their beds (except the boy doesn't have dolls so he has a couple of cars out). Wow! Thanks! 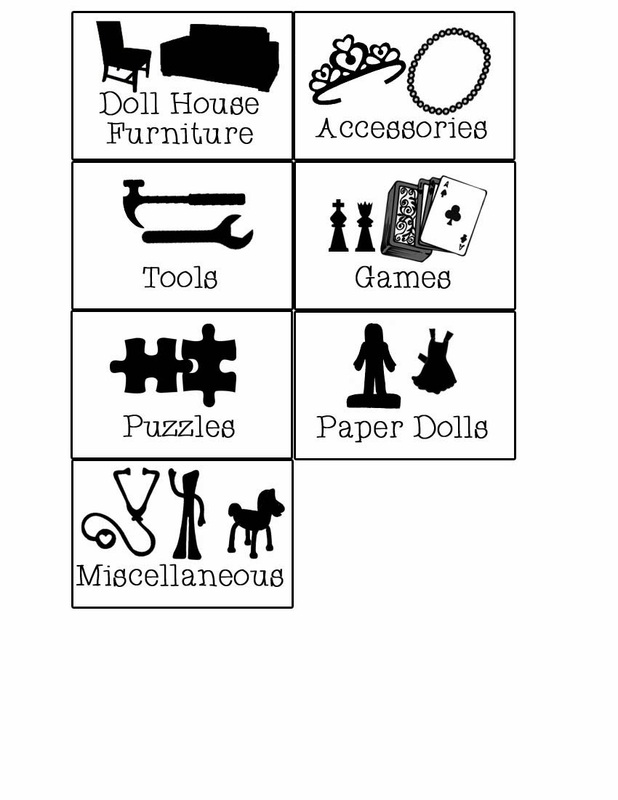 I was googling B&W toy labels to print before attempting to make my own. I appreciate that you've done the work already! Ha, ha!